Indoor plants are not only attractive but also beneficial to enclosed environments. 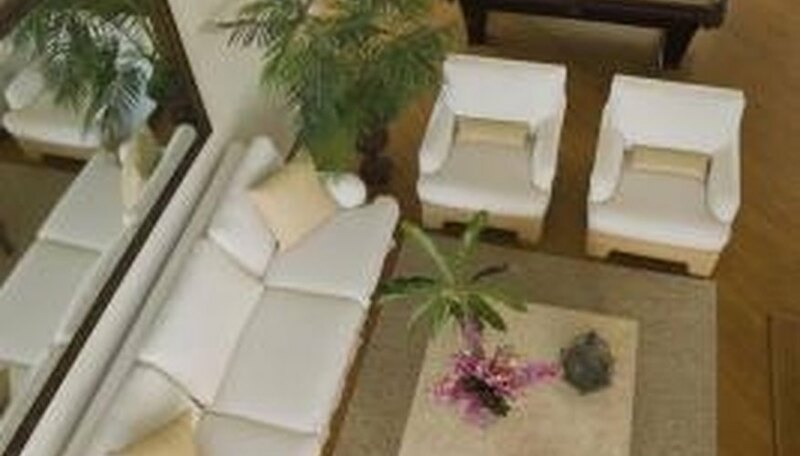 Plants increase the oxygen in a room and clean the air of pollutants and dust. Unfortunately, most plants need more sunlight than an indoor environment can provide. Using different shaped mirrors, and angling them to direct the available light onto the plants, makes it possible to not only reflect the light to where it is needed but also to concentrate or spread out the light to meet plant requirements. Flat mirrors reflect light back at the exact angle the light hits it. Think of bouncing a ball. If you drop it straight down, it will bounce straight back up. If you bounce it at an angle, it will bounce away at the same angle in the opposite direction. For a plant to benefit from light from a flat mirror, the mirror must be angled correctly to reflect the light onto the plant. For example, if your sofa is under a west facing window and a flat mirror is on the wall opposite the window, a plant on the coffee table would receive light that was reflected from the bottom to the top of the mirror. If you angled the mirror slightly downward, the light would reflect further down toward the floor, thus providing the plant more light. The surface of a concave mirror can be compared to the inside of a bowl. If you throw a ball at a concave surface, it bounces toward the middle. A concave mirror concentrates light toward the middle of the surface and reflects a concentrated beam of light back out. This mirror would be good for a plant that needs intense, concentrated sunlight. Convex mirrors are shaped like the outside of a bowl and are used as security mirrors. If you bounce a ball off a convex surface, it flies off willy-nilly in any and all directions. Light reflected from a convex mirror is spread out to a wider space. A convex mirror would be useful for reflecting light to plants with lower light requirements in a larger grouping or spread over a larger area.